Ten years ago in California, Daniel Pell, a self-styled Charles Manson, was sentenced to life in prison for murdering an entire family: husband, wife, and two children, plus one of his young male followers. He is brought to Salinas, California, to interview with Kathryn Dance after he is implicated in yet another killing. Things go terribly wrong during an interview break, and Pell escapes, intent on killing again. 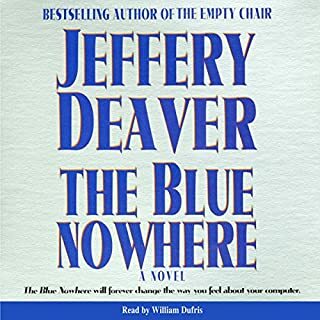 Jeffery Deaver, best-selling author of The Empty Chair and The Bone Collector , now turns to the labyrinthine world of cyberspace - a world where the most powerful can lose their wealth, their minds, their lives with a hacker's touch of a button. Paul Schumann, a German American living in New York City in 1936, is a mobster hitman known as much for his brilliant tactics as for taking only "righteous" assignments. But then Paul gets caught. And the arresting officer offers him a stark choice: prison or covert government service. Paul is asked to pose as a journalist covering the summer Olympics taking place in Berlin. He's to hunt down and kill Reinhard Ernst - the ruthless architect of Hitler's clandestine rearmament. Behind the well-known U.S. security organizations - the FBI and CIA among them - lies a heavily guarded, anonymous government agency dedicated to intelligence surveillance and to a highly specialized brand of citizen protection. 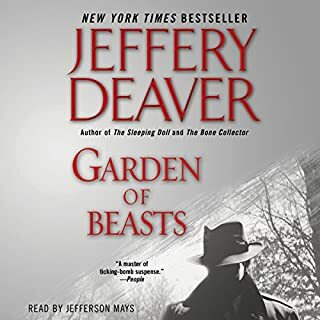 Shock waves of alarm ripple through the clandestine agency when Washington, D.C., police detective Ryan Kessler inexplicably becomes the target of Henry Loving, a seasoned, ruthless “lifter” hired to obtain information using whatever means necessary. Mr. Kelly is a lonely old man who rents the same video over and over. The flick is a noir classic based on a real-life unsolved bank heist and a million missing dollars. It's called Manhattan Is My Beat. That's the tape Rune is picking up from Mr. Kelly's shabby apartment when she finds him shot to death. The police suspect a robbery gone wrong, but Rune is certain the key to solving the murder is hidden somewhere in the hazy, black-and-white frames of Mr. Kelly's beloved movie. Taylor Lockwood spends her days working as a paralegal in one of New York's preeminent Wall Street law firms and her nights playing jazz piano anyplace she can. But the rhythm of her life is disrupted when attorney Mitchell Reece requests her help in locating a stolen document that could cost him not only the multimillion-dollar case he's defending but his career as well. 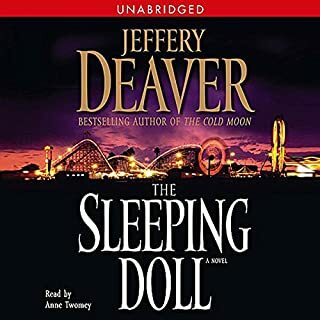 Worst book ever by Deaver! The first novel in the New York Times best-selling series featuring forensic detective Lincoln Rhyme. Lincoln Rhyme was once a brilliant criminologist, a genius in the field of forensics - until an accident left him physically and emotionally shattered. But now a diabolical killer is challenging Rhyme to a terrifying and ingenious duel of wits. With police detective Amelia Sachs by his side, Rhyme must follow a labyrinth of clues that reaches back to a dark chapter in New York City’s past - and reach further into the darkness of the mind of a madman who won’t stop until he has stripped life down to the bone. 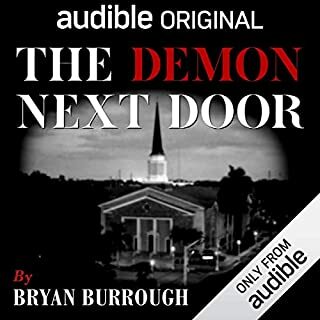 Absolutely the worst performance I have ever heard on audible. The story was compelling and I put up with the narrator to get the story but I can't believe this was approved. I struggled through this book because I love the story. I don't know if I can sit through it again. Amelia was my favorite character. She is flawed but courageous and very smart. Who would you have cast as narrator instead of Connor O'Brien? Scott Brick, Norman Dietz, just about anyone but Connor O'Brien. Was The Bone Collector worth the listening time? If you love the story enough, yes. I waited a long time for an unabridged version to come out. Hoping they rethink and redo the narration, until then I am stuck with it. What disappointed you about The Bone Collector? Narrator pathetic, dry, dull, monotone, destroyed great book. Couldn't get past first 5 minutes of listening. What other book might you compare The Bone Collector to and why? Would you be willing to try another one of Connor O'Brien’s performances? What character would you cut from The Bone Collector? I'm not convinced an actual person narrated this book, it sounds more like some text to speech software was used. By far the worst narration I've ever heard. Great story that I've been waiting for some time to hear. I should have waited a bit more I think. Critique of the narration of "The Bone Collector". The Narrator chosen for this work presents a near monotone delivery with the ends of many sequential sentences sounding nearly identical in delivery. Said sentences are for this reader enervating, monotonous, and distracting such that one loses one's place in what otherwise would be the ebb and flow of the narration of an otherwise most entertaining and well written book. I wish I had just read the book, the narrator was so overacted. Do you think The Bone Collector needs a follow-up book? Why or why not? Love the author, story but the narrator! 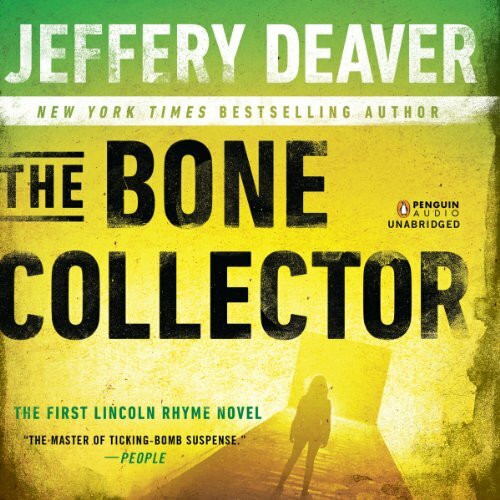 Would you consider the audio edition of The Bone Collector to be better than the print version? NO! I had to listen to his voice.....aaaargh! He sounded like a low budget saturday morning cartoon voice. Scott Brick or Edoardo Ballerini or George Guidall. What did you love best about The Bone Collector? The story and characters are great. A lot of depth. 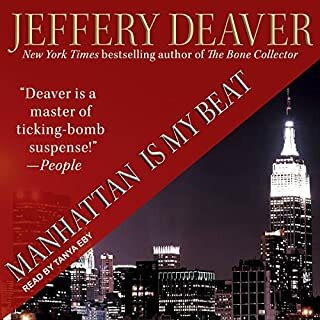 I enjoy Jeffery Deaver's books. I actually saw the movie a long time ago, and loved it. 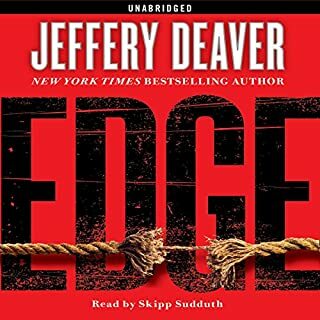 Stumbled on Jeffery Deaver by way of the Katrhyn Dance novels, and then realized the tie in. So glad to have rediscovered this series! If you can suffer through the narration without thinking over and over "recaulating... recalculating..." it's worth it. The narrator's cadance is something short of awful. It makes it very difficult to listen to... there's no easy flow. It feels like a set of interrupted and totally separate thoughts. He has a similar feel to that of the old fashioned text to speech softwares.... sounds like Moviephone. Get a different narrator. This one was awful. He's flat at times, the inclections don't follow the story. Can't say. With what I read there wasn't a bad character. I like Lincoln Rhyme. Connor O'Brien, I didn't. The character of Lincoln Rhyme interested me because he was so unique. I loved that the author took a man who was disabled, made him angry and pathetic in many ways, but still intelligent and creative. I don't know if I have ever read another book where the protagonist is a quadriplegic, and I am so glad that I found this one. I hope that the author doesn't invent a miracle cure. Like most of the other reviewers, I did not like the narration. It was monotone, slow and dull. It added nothing to the words on the page. I listened at 2.0 speed which made it slightly more tolerable.